Moor your sailing boat in the beautiful harbour, beneath the Venetian fortress. 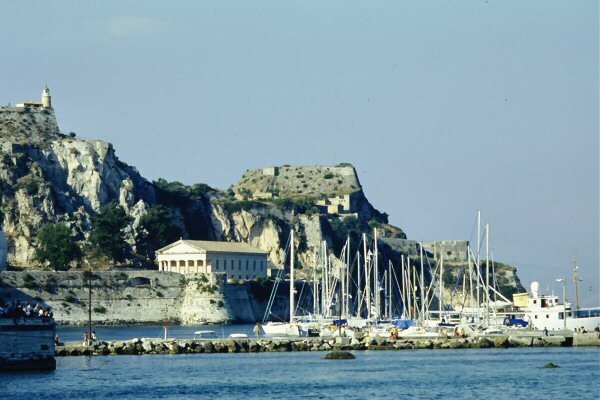 Corfu is visited regularly by ferries bringing provisions and tourists to the island. The port pictured here is as colorful as it is practical.